Four of the individual Marvel-Netflix TV stars are converging this season in The Defenders, Charlie Cox as Matt Murdock / Daredevil, Mike Colter as Luke Cage, Krysten Ritter as Jessica Jones and Finn Jones as Danny Rand / Iron Fist. The Punisher and Elektra are not confirmed or attached at least according to the show’s producers at this present time. Whether or not they will drop by in cameo or guest appearances we don’t know. Charlie Cox and other cast members are on the record commenting on the producer’s preferring a degree of secrecy, in spite of this confirmed details are slowly accumulating. The plot synopsis is very general, with not much in the way of precise information sanctioned. We do know that the season no surprises is located in New York and are four heroes must save New York from an unspecified impending threat. The premise of the new show appears to be the independent and solitary heroes dealing their own personal challenges, who realize they are stronger when teamed together. Stick (Scott Glenn), the one time Matt Murdock mentor, is descending on Hell’s Kitchen once again, just maybe suggesting ‘The Hand’ are the nefarious bad guys. Daredevil 2 left the action with the shadowy ninjas departing with Elektra, defeated temporarily in New York, but still potentially in the game. The comic book version of the Defenders arrived in 1971’s Marvel Feature #1, created by Roy Thomas and Ross Andru. Daredevil and Jessica Jones fans may remember are not immediately associated with The Defenders multifarious comic incarnations, but Luke Cage did figure in the publication’s pages. 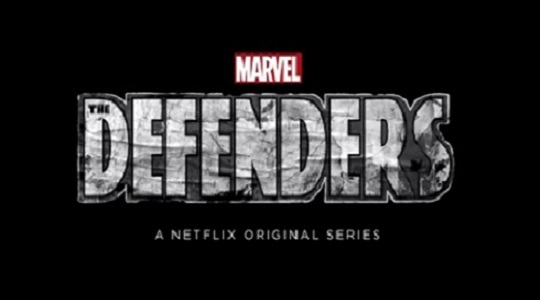 The TV series is not expected to reprise story lines from The Defenders comic books. It’s doubtful that the Hulk and other Avenger’s movie characters who are confederated with the comic version will migrate across. The project begin shooting in October and is scheduled for a release in 2017, but an official date is not yet confirmed.